OpenLayers is a very nice addition to the Mapstraction stack, as it can be displayed without need for any API codes or registration. 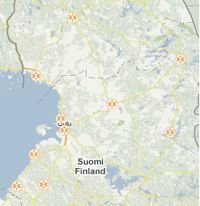 With local OpenStreetMap tiles it could even be used on web servers that are not connected to the regular internet. Grab the code from SVN or take a look at an implementation example! 08 April 2008. 1 minute read. 19 March 2007. 1 minute read. 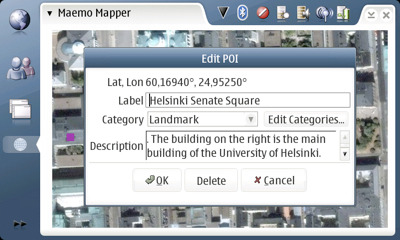 Maemo Mapper is a map browsing and GPS navigation application for the Nokia Internet Tablets. 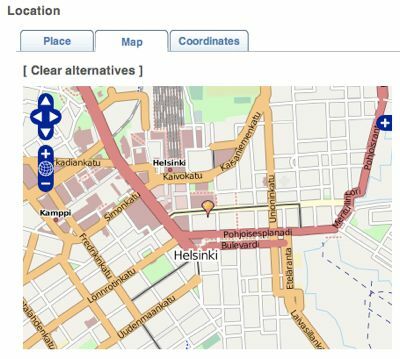 So far this useful application has been in the legal grey area by relying on providers like Google Maps and Microsoft Virtual Earth for its map tiles. This probably violates their terms of service and may cause problems later on.